#LabFellowship is our unique incubator for founders of purpose-led financial innovations who are working to transform the financial system for the better. In this Meet the Fellows blog series, we get to know the inspiring people taking part in this year’s programme. 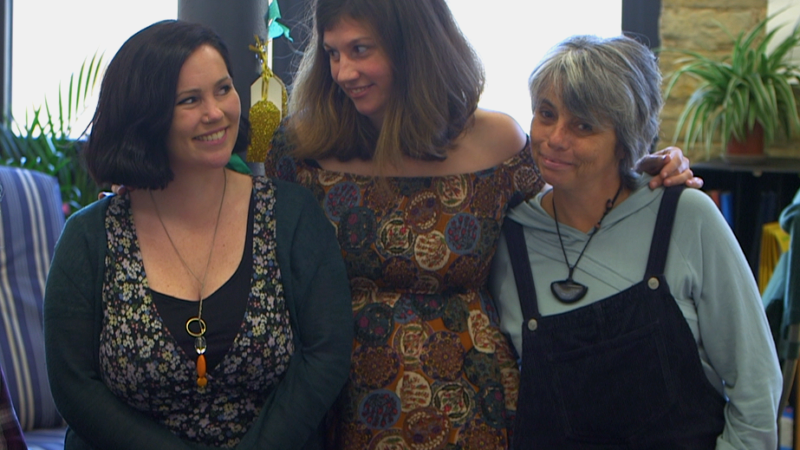 Emma Back, Fran Watson and Kate Hammon are the co-founders of Equal Care Co-op – a new care and support platform co-op owned by the people who receive support and those who give it. Platform co-ops are digital platforms designed for the exchange of goods or services that are collectively owned and governed by those who participate in them. They offer a powerful and viable alternative to the digital platforms currently monopolising the market, such as Uber and Airbnb. Equal Care Co-op is challenging the balance of power that currently exists in the care sector. They are tackling the low wages of professional care and support practitioners; inequitable relationships between council and provider, and provider and worker; and the growing vacancy rate within social care. To do this, they are building a relationship-centred service where carers are paid fairly for their work and people receiving support can not only find care services for themselves, but also offer their skills, experience and support to others, on a paid or voluntary basis. Emma, Fran and Kate each bring unique and valuable experience to the team. Emma has substantial experience designing support services and is passionate about putting those delivering front-line services in charge of how they are managed. The idea for Equal Care emerged from her experience in services and community development. Fran’s background is in offering independent care and support services, including running Hebden Care – a local support service for older people. Kate has experience managing a social enterprise working with young adults coming out of prison and she has also delivered front-line support, as well as direct experience as a teen carer. Equal Care Co-op have made amazing progress so far. After a successful crowdfunding campaign last year and securing several grants, they are gearing up to launch their community share offer (pre-registration is open here). At the same time, they are prototyping their digital platform, piloting their first self-managing peer group of care workers and recruiting independent workers and local volunteers. You can read more about their progress here. An important next step in the journey for Equal Care Co-op is developing the concept of Care Coins – a new, alternative currency which will power the exchange of care and help create their vision of a care and support system which puts the relationship between giver and receiver first, shares power and allows care and support to exist in abundance. Inspired by the lessons which emerged from Japan’s long-term experiment with ‘a ticket for a caring relationship’ (fureai kippu) and by the ground-breaking work of Edgar Cahn’s No More Throwaway People, which introduced timebanks and co-production, they are exploring a care currency which can be exchanged with anyone who provides support to others and which can be integrated into more formal models of commissioning care. Emma, Fran and Kate are hosting an event for the Lab community on 25 April to introduce Equal Care Co-op and explore the concept of Care Coins – and you’re invited! If you’d like to join us for this interactive event, and learn more about how you can support their mission, please email naomi@financeinnovationlab.org. You can find out more about Lab Fellowship and how to get involved here.